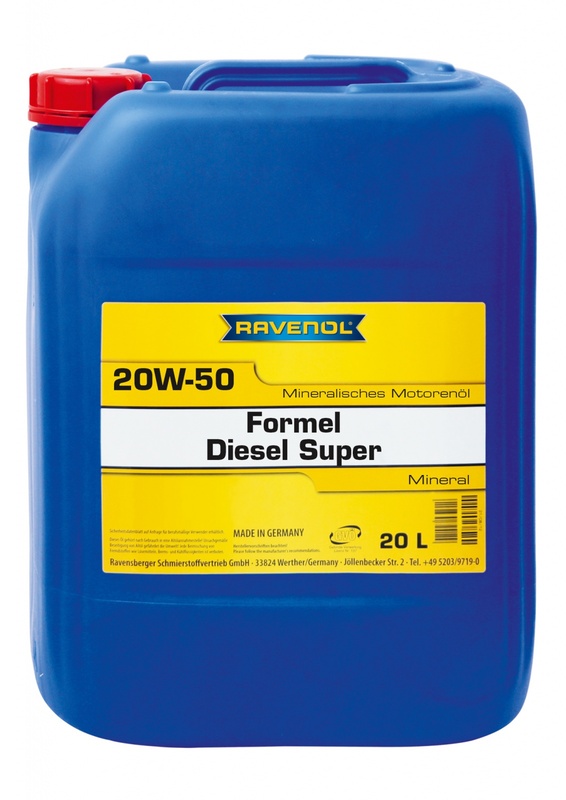 RAVENOL Formula Diesel Super SAE 20W-50 is a high-alloyed HD engine oil formulated with selected additives. It is perfectly suited for lorry diesel engines, including turbocharged engines, as well as stationary units. The high additive content guarantees excellent detergent, dispersant and anti-wear properties. It is particularly suitable for high mileage engines.